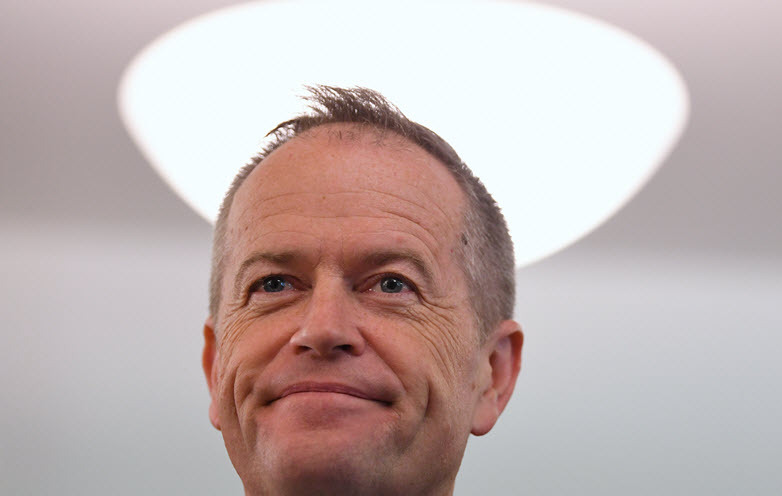 While today Bill Shorten will unveil another aspect of Labor’s health package — a $250 million pledge to fix elective surgery waiting lists — health experts are warning both major parties against adopting infrastructure-style election announcements and suggest they should instead focus on a more cohesive strategy, worked out in cooperation with the states. The Age reports that, with Labor and the Coalition committing a combined $4 billion in public funds to health services in key seats, Grattan Institute health economist Stephen Duckett has flagged Labor’s proposed National Health Reform Commission as a better body to manage big picture strategic health priorities instead of “announcements coming out of the blue” and promises being made on an electorate-by-electorate basis. The latest Newspoll ($) has One Nation’s primary support down from 6% to 4% in the aftermath of Al Jazeera’s How To Sell A Massacre investigation. Both major parties, however, lifted slightly to 39 points each, and Labor is again leading 52-48 on two-party preferred. The Australian ($) also reports that Pauline Hanson has largely dismissed her lowest result in three years while confirming that One Nation will abandon its 2016 strategy of preferencing against sitting MPs in a move set to benefit Queensland’s LNP. New York congresswoman Alexandria Ocasio-Cortez has backed a bodega-run boycott of the New York Post, after the Rupert Murdoch-owned paper published a front page attack on Somali-American congresswoman Ilhan Omar. According to Haaretz, Ocasio-Cortez has cited similar local action over Donald Trump’s “Muslim Ban” in her support for the boycott, which was initiated by the Yemeni American Merchants Association (YAMA). YAMA argues that the New York Post front page fosters Islamophobia by misrepresenting comments from Omar, suggesting she had downplayed the seriousness of 9/11. Some of the most important and consequential political conversations take place in the streets with our friends and neighbours and away from the noise of the media and vested interests. In a since deleted tweet, the member for Warringah highlights the importance of conversing with humble, salt-of-the-earth Sydney folks such as News Corp columnist and “Team Tony” campaigner Piers Akerman. The Accountability Round Table will host National Integrity Forum ‘Our Choices’ at Parliament House, to include a keynote from former WA premier Geoff Gallop and parliamentary responses from Shadow Treasurer Mark Dreyfus, Liberal senator Amanda Stoker, Greens senator Larissa Waters and Independent senator Tim Storer. Author Sisonke Msimang will be in-conversation with journalist Chris Wallace on her new book The Resurrection of Winnie Mandela at an ANU/Canberra Times event. Social Services Minister Paul Fletcher and Shadow Treasurer Chris Bowen will address social services representatives at the ACOSS federal election breakfast. Treasurer Josh Frydenberg will speak at the launch of a new book on Liberal prime minister, Robert Menzies. The University of Sydney will host forum event “The EU for Journalists: Media Reporting of the EU in Australia” with ANU’s Mark Kenny, Politico Europe’s Zoya Sheftalovich, SBS’s Davide Schiappapietra, and EU delegate to Australia Fabio Spadi. A three-day registration hearing will be held over whether to put Federation Square on the Victorian Heritage Register. Representatives from the School Strike 4 Climate group will speak at a Griffith #ClimateElection Forum, with local politicians invited to attend. St Andrews Anglican Church will also host a Ryan Candidates Climate Forum. The First Nations Deaths in Custody Watch Committee WA will host an annual forum marking the 28th anniversary of the royal commission’s recommendations, to include a keynote from Sisters Inside Debbie Kilroy.